My review: 3.5/5 I gave 3.5* to this book not for its inherent quality, but for its potential value as an introductory, non-technical, quick read on the future not just of cars and mobility, but of their ecosystem. 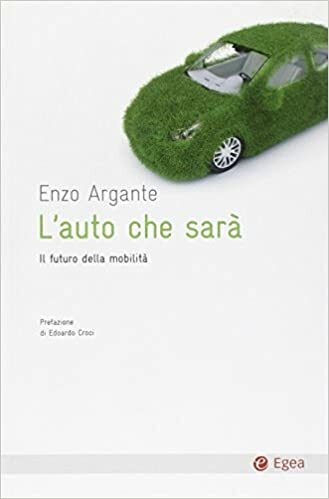 If you are looking for something on the Womack- or Toffler-level of assessment about the future of cars, this is not the right book (I will actually review some others in the future, both on the "ecosystem design" and the "future design of mobility vehicles"). Anyway, this book, that you are working in the automotive industry or not, is interesting just for what it isn't. Notably, this book is written as with a journalist's perspective. 2. within the industry, to "seed" a discussion (as there are here and there few imprecisions and few choices presented as "the" choice). Sometimes the author gets a little bit carried away, sometimes puts the cart in front of the horses, sometimes he is evangelizing. But overall the book is a relaxing read, and gives at least a hint in plain language of what implies redesigning not just cars, but their role and overall mobility.